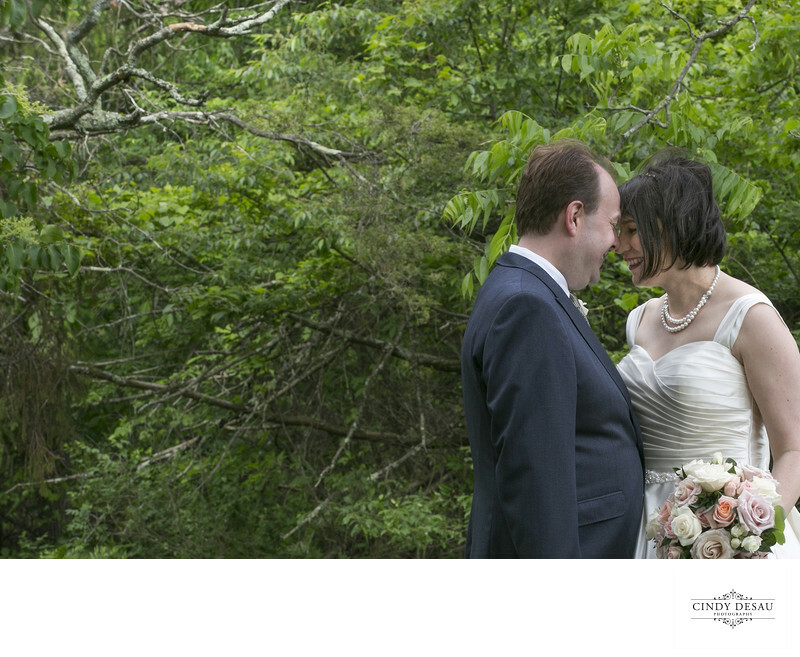 This bride and groom had their wedding and reception at the Pearl Buck Estate. For visual interest, I positioned this bride and bridegroom off to one side of the frame. I liked the natural look of the tree branch at the upper left corner. Even though the couple is to the far side, by framing their wedding photograph in this manner it is a balanced composition. I also like how they are engaged in each other and enjoying the photography portrait session. The Pearl Buck Estate is located in the suburbs of Philadelphia. It was the long-time home of Nobel- and Pulitzer Prize-winning author Pearl S. Buck. The estate is a National Historic Landmark and where she wrote “The Good Earth." The weddings at Pearl S. Buck support the mission of her foundation, such as improving children’s lives around the globe. If you are interested in having your wedding at the Pearl S. Buck Estate contact Jamie Hollander Catering and Events. They not only help you develop an innovative menu, but also coordinate every detail of your day. Location: 520 Dublin Road, Perkasie, Pennsylvania 18944.